Okay for the money, but I probably should've gotten Corsair CX 430. Non-modular is a pain in the ***. 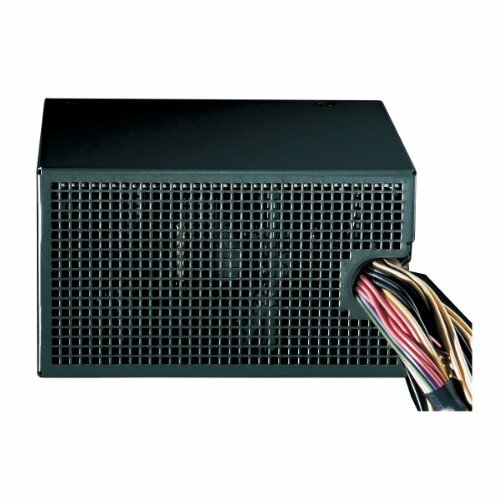 Great, quiet power supply for a low-power system. Full wiring can be a pain, but nothing a few zip ties and patience can't handle. I have no idea what I needed here except for Wattage so the fact I haven't had any issues gets it a 5 star. At around $45 retail, it's not a good value for money. Its color scheme doesn't match 99% of builds, it's not modular, it's wires aren't sleeved, it only has one 6-pin PCIe connector, and the box it comes in doesn't even contain a power cord! The only things it has going for it are its 80+ Bronze efficiency and Seasonic internals. So why do I still like this unit so much? Somebody please tell me! For some reason pcpartpicker doesn't offer the non green version which is just 80 plus instead of bronze. It being a rebranded seasonic PSU, I think this little guy was a steal for only 24 dollars. It is also ancient and might give out at any point and I did test it out on another pc before using but it hasn't and I don't think it'll explode. Its A powersupply that works.